Tony Blair has called on those who accused him of lying about Iraq's weapons to withdraw their allegations in the wake of Lord Hutton's report. Mr Blair said the "real lie" was the claim he had misled the country by falsifying intelligence on weapons of mass destruction or lied to MPs. Despite the claims being "completely untrue" the BBC had never "clearly and visibly withdrawn this allegation". "I simply ask... now withdraw it fully, openly and clearly," he said. The prime minister said the accusations levelled at him by BBC correspondent Andrew Gilligan were extremely serious. "If true it would have meant that I had misled this House." 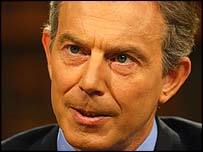 The failure to withdraw the claims "has allowed others to say repeatedly I lied and misled Parliament", he said. For the Tories, Michael Howard said his party too accepted Lord Hutton's report but asked for a wider independent inquiry into the circumstances that led to Britain going to war with Iraq. He paid tribute to Dr Kelly whom he said was a "fine public servant". And he argued that the case for the BBC to be independently regulated had never been stronger. He attacked Defence Secretary Geoff Hoon for his role in the circumstances of the naming of Dr Kelly. And he said the weapons expert's record of public service was in stark contrast to the conduct of a "cabal" of ministers including Mr Blair. Mr Howard added: "No-one in the government can look back on this episode with pride - the nation will in due course deliver its verdict." 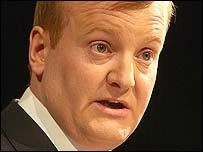 Liberal Democrat leader Charles Kennedy said Lord Hutton's inquiry had not been allowed to look into the "most fundamental question" which was why the UK went to war with Iraq. In his statement Mr Blair described how he was made aware that Dr Kelly had come forward as the possible source for Mr Gilligan's story on 3 July, 2003. "How we could possibly keep this information secret not just from the Foreign Affairs Committee, which had just taken evidence on this very point but also from the Intelligence and Security Committee who were about to interview us all about the intelligence relating to Iraq, with the first session on the morning of Wednesday, 9 July?" he asked. The prime minister said that Lord Hutton had accepted the the idea that Dr Kelly should never have been named "or that his name was leaked in breach of a duty of confidentiality" was based on a "false premise". "On the contrary, our duty was to disclose his name to the committees and allow then to interview him if they so wished," he said. 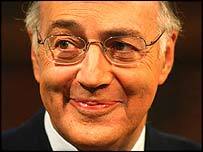 "Lord Hutton finds that our concern, at being accused of misleading those committees was well founded," he told MPs. In his tribute to the dead weapons expert, Mr Blair said: "Dr Kelly was a decent man, whose very decency made him feel wretched about the situation in which he found himself. "No-one wished this tragedy to happen. All of us felt, and still feel, desperately sorry for Mrs Kelly and her family. "None of us could have foreseen it because none of us, at that time, knew what Dr Kelly knew." "This has been a testing week for the Prime Minister, but he's rescued his authority"